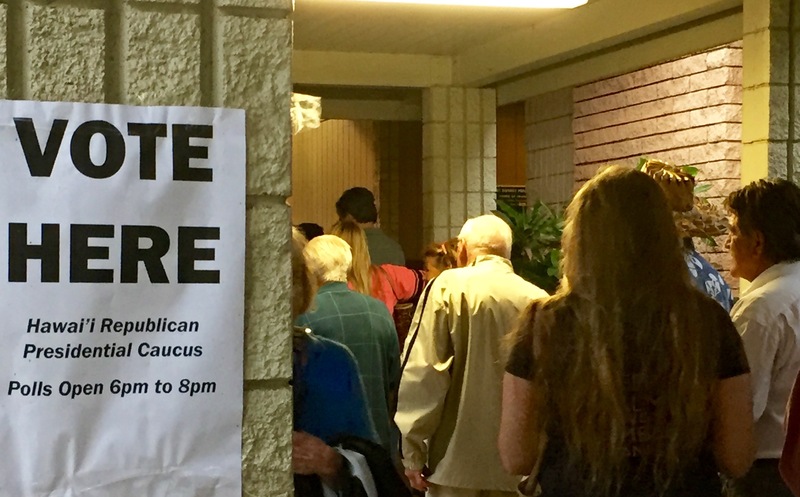 LAHAINA–Record numbers of voters jammed Lahaina Civic Center at the Republican caucus Tuesday evening giving the Donald a victory with 42 percent of the vote. Voters still do not understand that Trump is a demigod, poor role model for our youth who are learning to disrespect people, with little experience in foreign affairs. His ascendency is feared by leaders in Germany, France, China and other countries. Trump talks about horrible lies of opponents. when his lies are at the top of the charts. Maybe, it takes one to know one. voices of maui com political commentary from the perspective of Hawaii, 6000 miles from D.C. Previous NUMBERS: How many wine glasses does it take for a wedding on a beach? There is not much to like regarding this egomaniac winning in Hawaii.